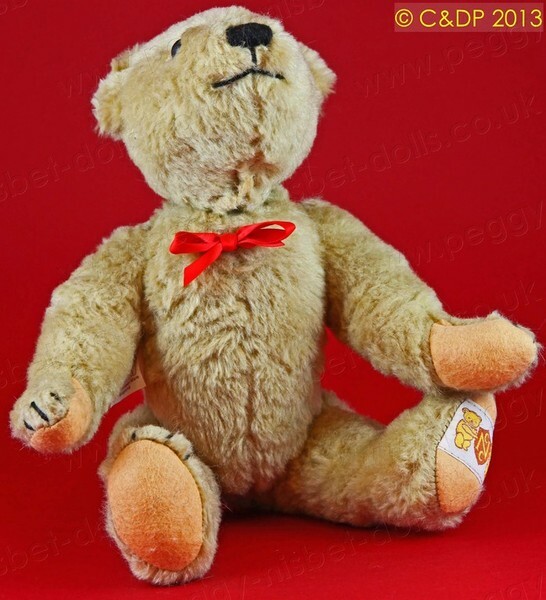 Yes-No Bear sitting still for a moment! Unfortunately, even the highlighted picture above does not really show Yes-No's tail very clearly. 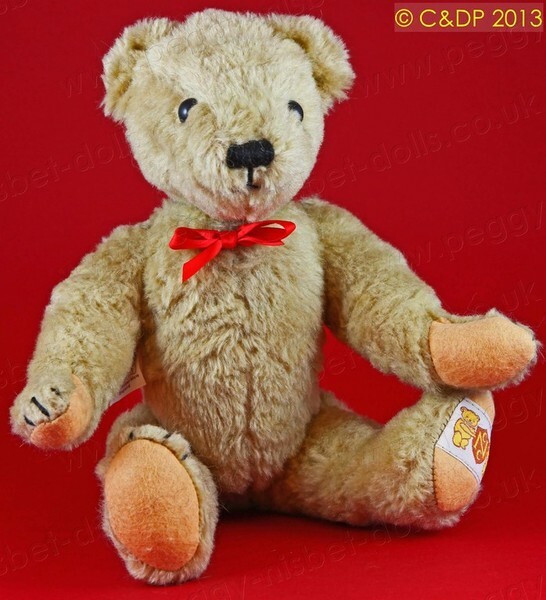 He is the only teddy bear we have ever seen to have a tail, and for him, it is vital, as it houses the lever that makes him move his head, and brings him to life in a very amusing and endearing manner! 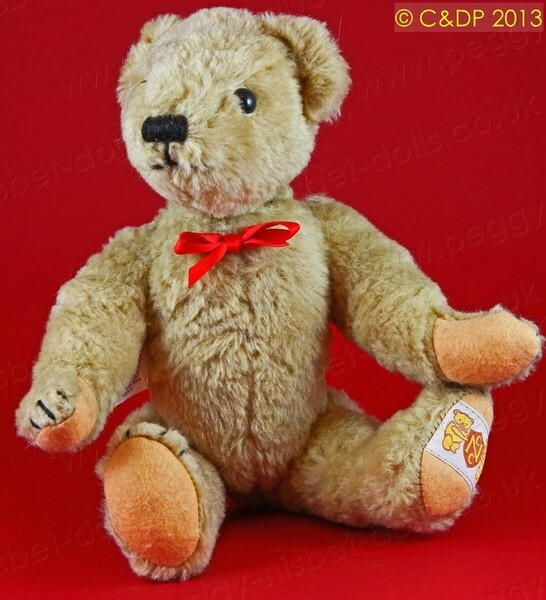 "A souvenir of 1989 Keystone Traders ltd British Teddy Bear tour"
He has been signed on the pad of his right foot by Nisbet Chairman Jack Wilson. 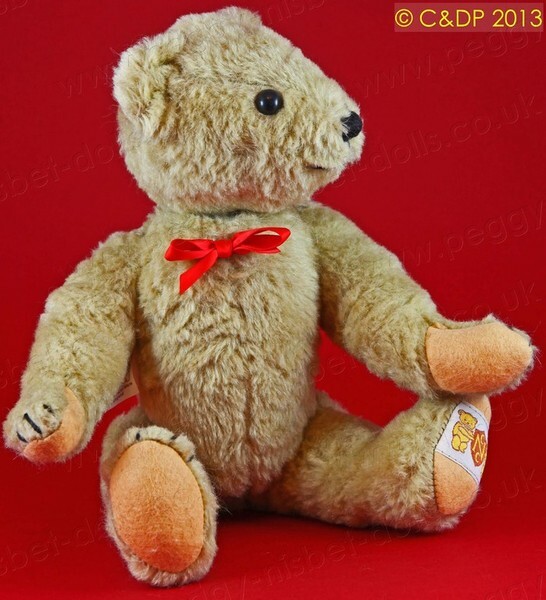 You may also have spotted that he is made of a darker, "nutmeg" fabric than his brother!